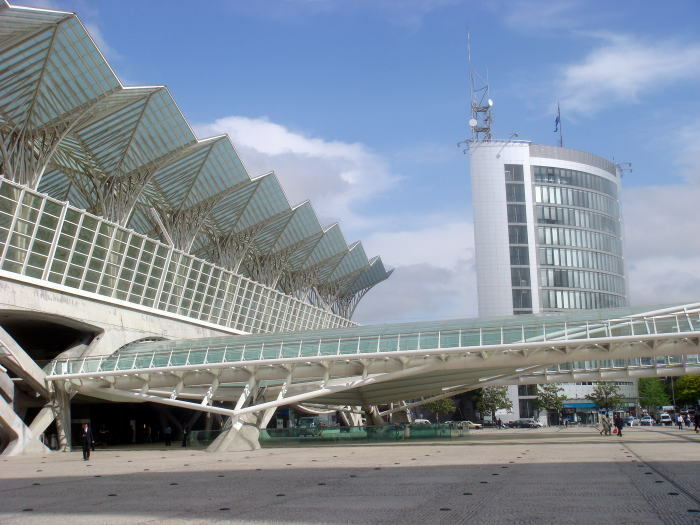 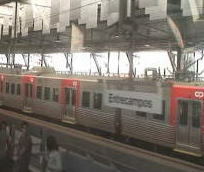 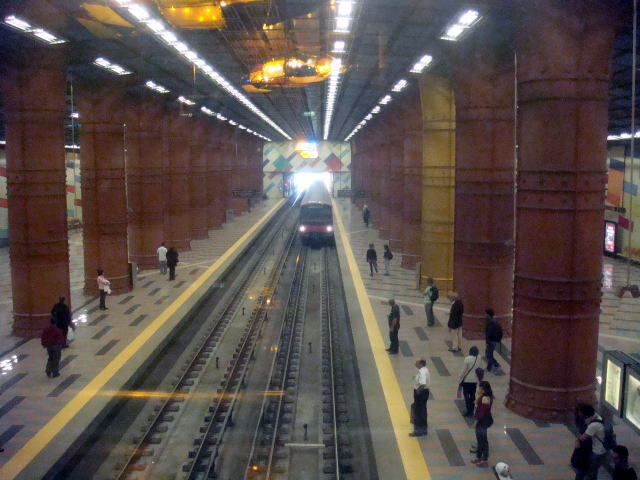 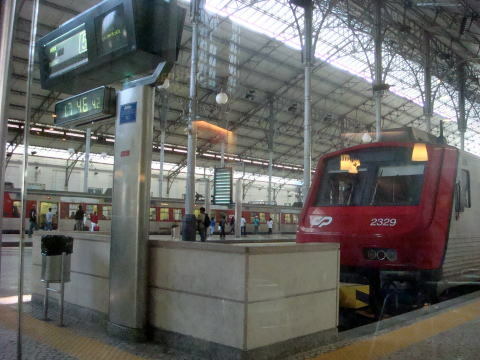 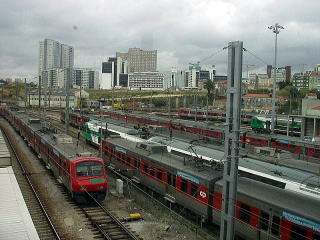 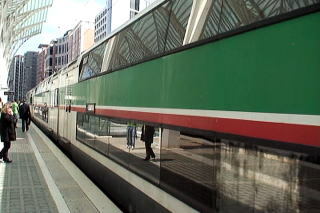 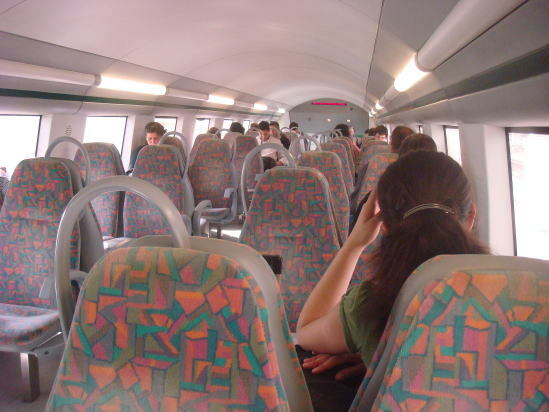 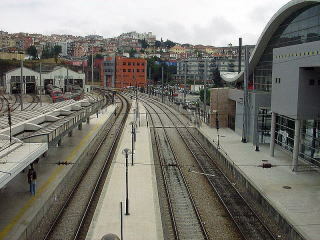 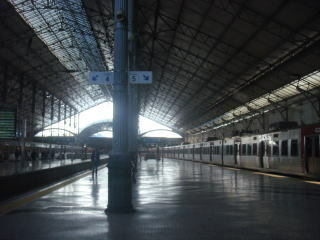 commuter train lines are Santa Apolonia, Rossio and Gare do Oriente. 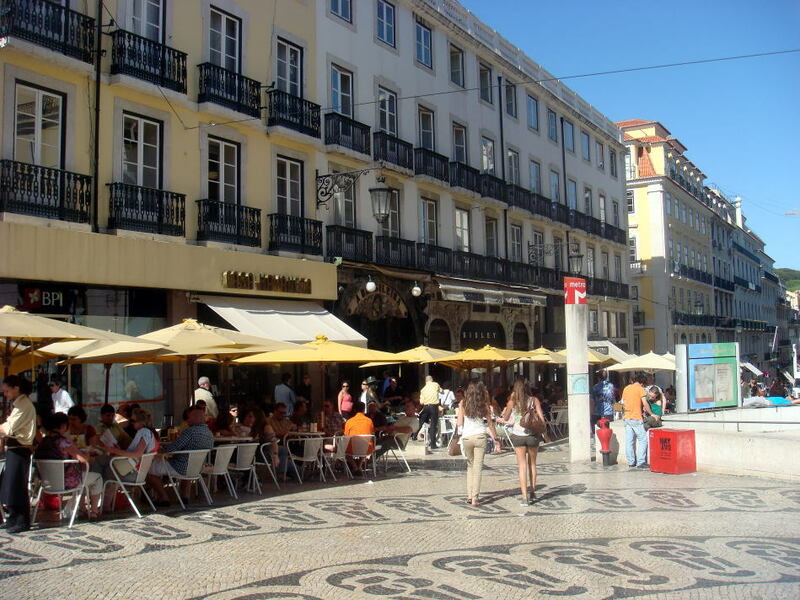 Baixa is an elegant area in the city center of Lisbon. 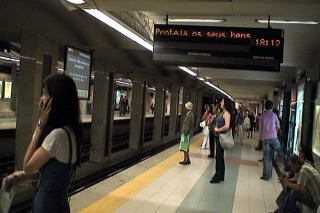 The surface is paved with a decorative pattern of tiny black and white stones. 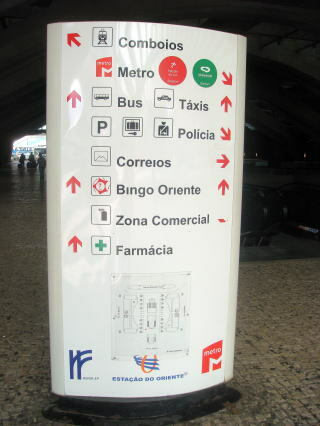 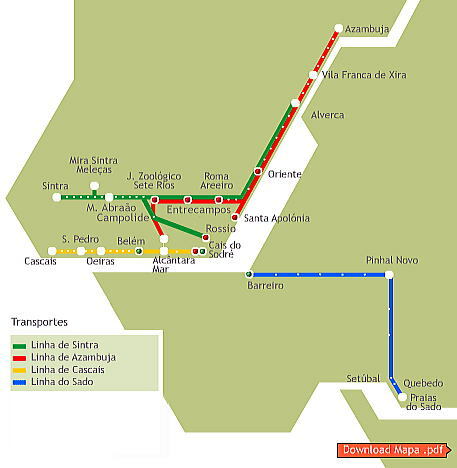 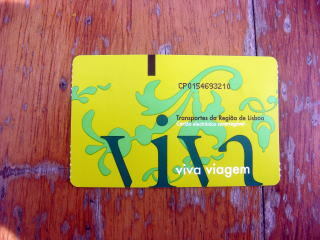 These map show a metro route in Lisbon. 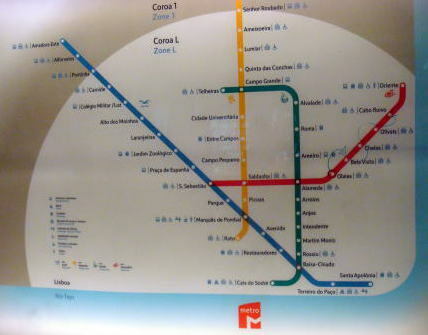 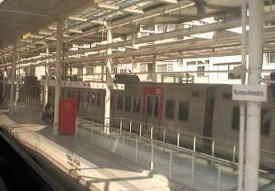 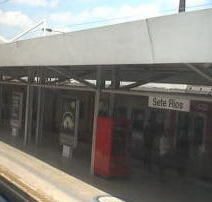 The terminus major station for the red line is Oriente, and the blue is Santa Apolonia. 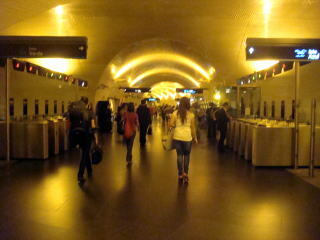 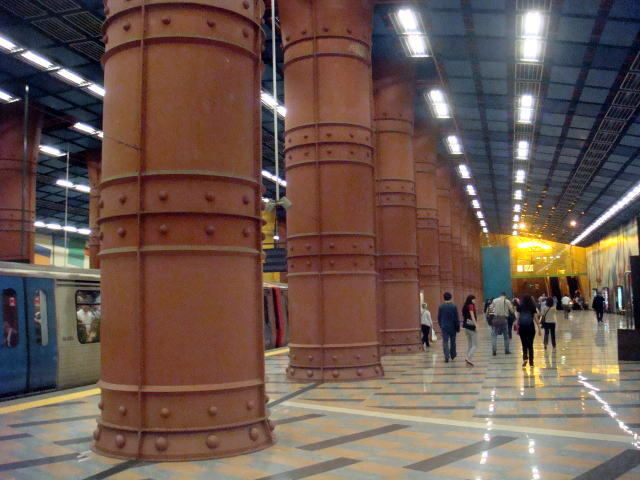 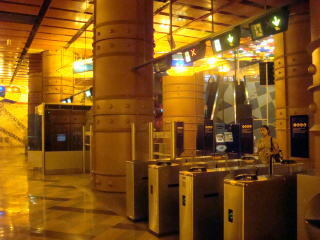 (R) Large columns support a wide space underground at the plateform of Olaias station. 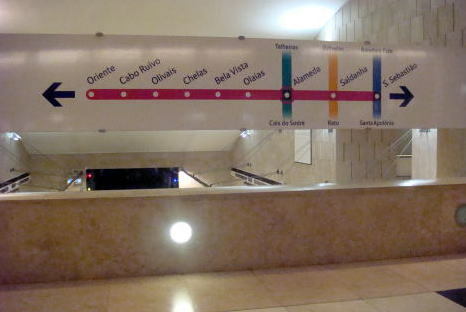 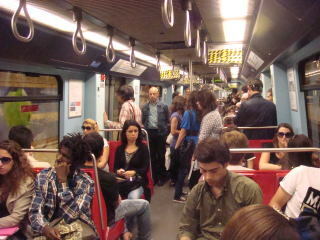 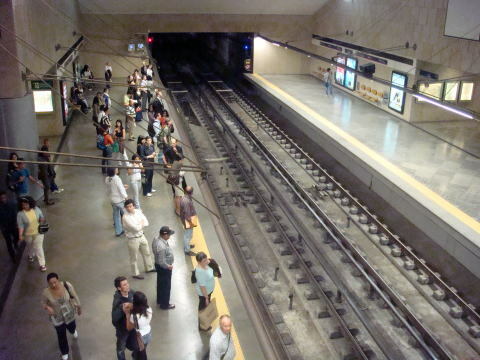 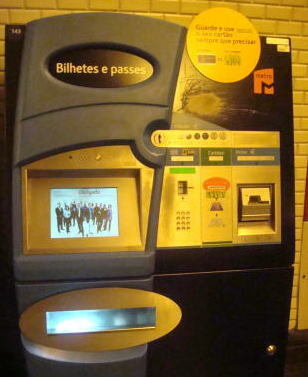 (L) Passengers of Lisbon Metro train (R) A subway train is now entering to the underground Olaias station. 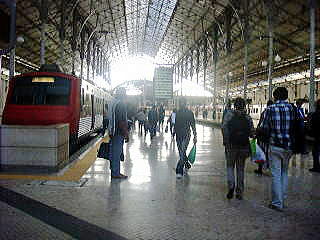 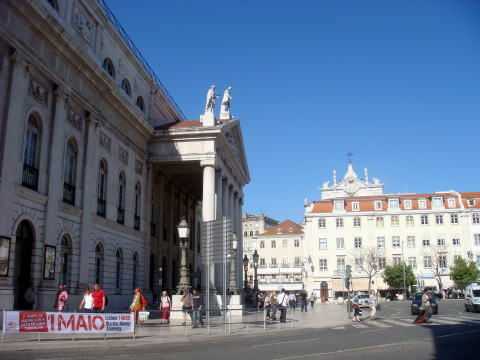 Rossio Railway Station at the Rossio square is an important example of Romantic and Cast-iron architecture in Portugal. 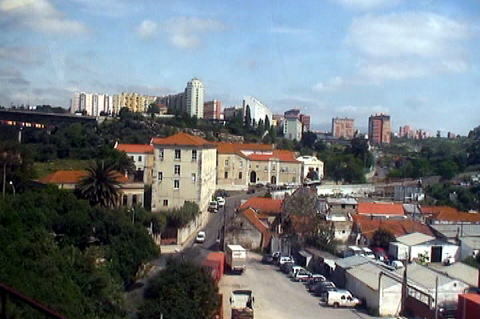 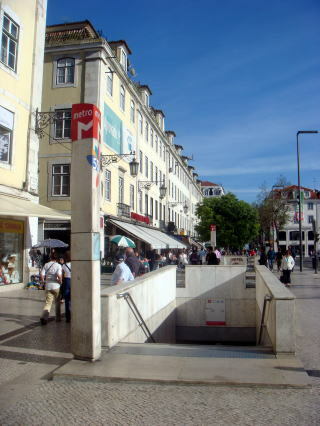 (L) Campolide station (R) A historic aqueduct in Lisbon, well viewed from the site near the Campolide station. 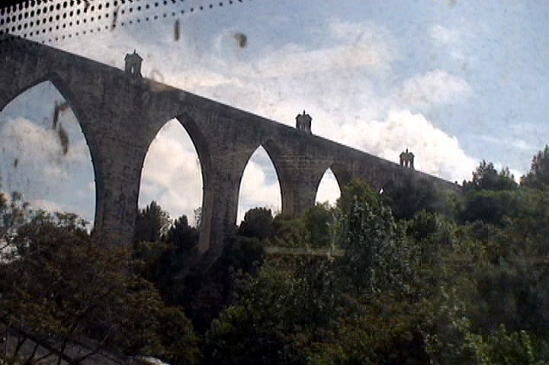 the aqueduct covers 18 kms, but the whole network of canals extends through nearly 58 kms. 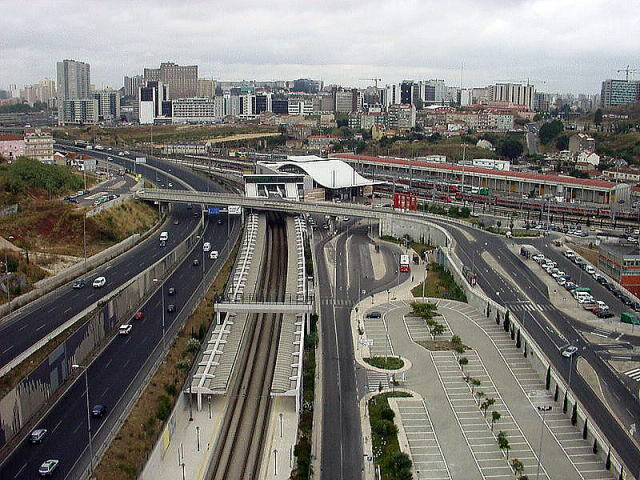 The project was paid for by a special sales tax on beef, olive oil, wine, and other products. 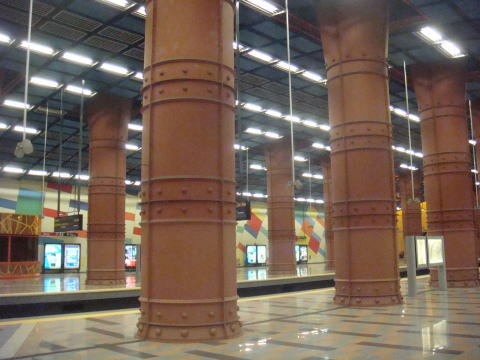 covering 941 m. It is considered a masterpiece of engineering in the Baroque period. 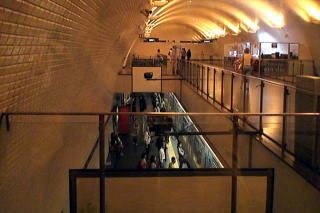 The article was written in May, and photographs were taken in April-May, 2010、by Dr. J. miyamoto.